In 2014, Taylor Lane was struggling through the daily grind. She hated being stuck in the same office, and dreaded her daily commute. A trip to Guatemala and a stint of volunteer work changed all that. Taylor decided things couldn’t go back to the way they were. She knew she wanted to find a way to build a career that let her keep on travelling. Her transformation into a digital nomad, running her own business while travelling the world, began. Inspired to make a big change in her work life, Taylor first moved to Central America, working in a bar while she researched the remote-working world and applied for jobs. Once Taylor had landed a role in email marketing that was totally ‘location independent’, she spent the next year travelling – and working – around the world. Everywhere she went, friends wanted to know how she was making this lifestyle work. With experience of remote working and job-hunting under her belt, Taylor set up Remote Like Me to help other people develop flexible, remote careers. 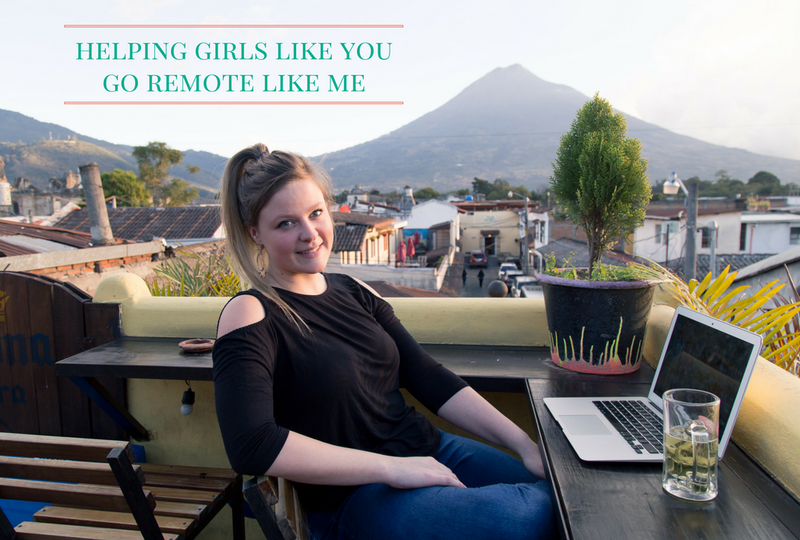 Remote Like Me offers a range of services, from CV reviews through to full packages of coaching and support for people looking for their ideal remote job. I met Taylor through myworkhive’s Virtual Coworking Community. She’s a lovely, helpful member with a tonne of experience in all things remote. Her approach in the communities she runs through Remote Like Me is to be supportive and practical, helping people identify the skills they have already, and uncovering relevant remote jobs. Becoming a skilled Virtual Assistant. The Masterclass is running this Saturday (November 18th): sign up HERE for free.